Over the opening weekend of the 2019 MLB season, iconic sports radio personality Mike Francesa, years removed from Mike and the Mad Dog, tweeted about the New York Yankees after their one-win, two-loss series against the lowly Baltimore Orioles. Can the #Yanks dig out of this whole? Whole presumably being a typo, Keith Law of ESPN pointed out in a reply that there were “only” 159 more games to play. Baseball is a sport, unlike the NFL, that does not require panic after three games, or 10 games, or even 20 games. 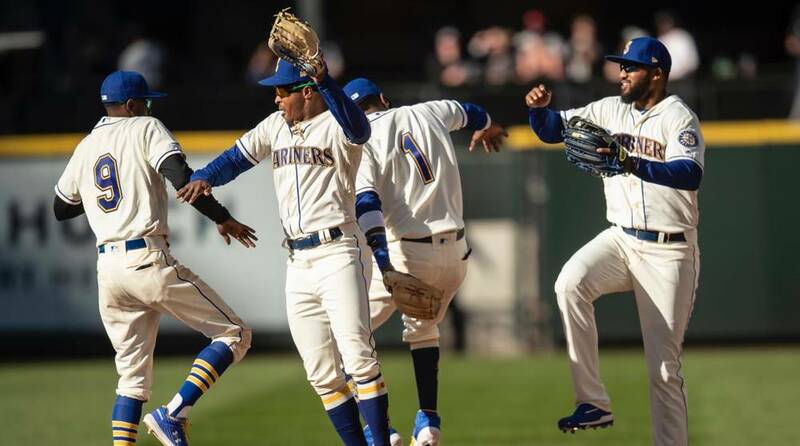 The reverse is also true, like the hot start of the Seattle Mariners. The term “small sample size” (SSS) is acutely appropriate for baseball, as it also is for its fantasy counterpart. If you’re new to fantasy baseball and you are playing in a season-long league, as opposed to daily, take some advice and be patient. But be prepared to take advantage of the owner in you’re league who bails on a player off to a slow start way too early. Take, for instance, players who entered competition on Thursday without a home run: Freddie Freeman, Mike Trout, Aaron Judge. They will hit home runs this season—a lot of them. But will Tim Beckham and Kolton Wong remain among the elite power hitters? Probably not. In Seattle, the fanbase likes Marco Gonzales, and he is a perfectly serviceable middle-of-the-rotation fantasy pitcher. But the fact that he leads all of baseball in wins after three starts doesn’t make him a trade target in your mixed league. Nor should you give up on Gerit Cole or Max Scherzer because they are both 0-2. Trout, Judge, Freeman, Cole, and Scherzer are extreme examples, not likely to be found on your waiver wire this weekend. But some really good mid-tier players might be. Just this week I noticed Miguel Cabrera was dropped in my 20-plus-year-old league. Assuming that the owner drafted Miggy not for the power he no longer possesses but for the anchor of a high batting average (one that the proud former MVP has only let dip below .299 once in the last dozen years), then that owner is silly to give up on a .120 start in just 29 PA.
Conversely, jumping all over a lifetime .255/.308/.432 twenty-nine-year-old Tim Beckham because he’s hit .379/.471/.793 with 3 HR (of the 51 in his career) after 34 PA makes little sense either. But, check the most added players on your league’s website and there’s Timmy at the top. To be fair, if a player—hitter or pitcher—has changed something that he did in the past, the new results could be legit. Go check the advanced Statcast-based numbers. Has a launch angle changed? Has exit velocity increased? Has a pitcher added a pitch or is he throwing one pitch more often? Any substantial change in spin rate? Minus a change of approach and execution, you can probably chalk up outlier numbers to just being a product of a small sample size. The moral of the story? Jump on players your fellow owners give up on too soon. Be patient with your own players who may be “disappointing” after a week or so. And take the time to dig deeper on those interesting, surprising outliers. Changes in approach can make changes in results. But, usually it’s just too early to know for sure.